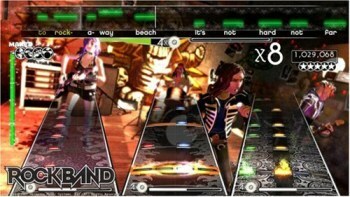 After more than five years of weekly updates, Harmonix is bringing an end to Rock Band DLC releases. It's hard to believe that it's been more than half a decade since Harmonix unleashed Rock Band on the world, and even more amazing that in the years since, the studio has released more than 4000 songs in support of the game. But Harmonix is moving on to other projects and thus, like all good things, that famously rock-solid DLC schedule is coming to an end. Rock Band DLC releases will come to an end on April 2 but new content will be put out between now and then, including the remaining tracks from Rock Band Blitz, Pro guitar upgrades and even some artists who haven't yet appeared in the game. And while no new DLC is planned, the Rock Central servers, leaderboards and Music Store will continue to run "for the foreseeable future," as will the Rock Band website and forums. The studio also said it still has the ability to release new content in the future, "should the right band and the right opportunity arise"
"We're incredibly proud of the DLC milestones we've set, especially producing the largest music library of any game available, and we wouldn't have been able to release as much outstanding content without the support of our amazing community," it wrote. "We hope that you'll all agree that this has been a tremendous run, and you should know it's a ride that we at Harmonix have been thrilled to be a part of." Harmonix also said that as a thank-you to fans, it will continue the current half-price sale on more than 1100 songs in the Rock Band DLC library indefinitely.